In the spirit of training “Smart”, today I am going to share 3 of my favourite high-return exercises that I use with almost everyone I work with. The reason why I like these exercises is because they require full body activation and control to do them properly. Essentially, you are hitting a focused area while still getting core activation. But don’t get me wrong, I still believe in doing a variety of targeted core work as well, as I don’t believe that you can get enough core by just training multiple joint functional exercises but that’s a longer conversation for another time. I know you have seen two of these exercises before, because I show refer to the ALL THE TIME and as per the title, they are “high return” exercises that YOU NEED TO BE DOING! It doesn’t matter if you are training to build muscle, get lean, get stronger or improve athletic performance, I recommend that you incorporate some functional movements into your training. Probably my absolute favourite lower body exercise that I use with ALL of my clients at some point in their training. Obviously it’s a bit of an advanced exercise as you need a decent level of balance and coordination so progress safely. It works the glutes, hams, quads, groin and not to mention the core stabilizers. It’s arguable the most “athletic” exercise that we use in the training centre and for good reason! Yes this would be my second favourite exercise we use in the training centre because of all the benefits it delivers. 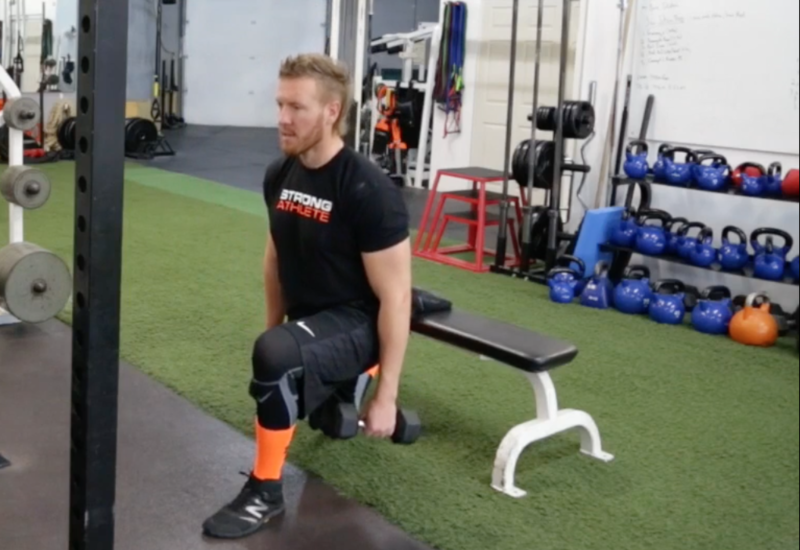 Again this is an advanced exercise that requires some balance and lots of hip control however if you lose it, it’s easy to correct unlike the split squats where you feel like if you lose it you’re going to eat the dirt. This exercise focuses on the posterior chain including ankle control, hams, glutes, spinal erectors and core! And once you get good enough to put some decent weight in your hands it will also work your scapula stabilizer muscles too! All that in one exercise?? Yep sign me up! Last but certainly not least on the list of Smart exercises that you need to be doing is Renegade Rows. Talk about a body control and core activating exercise, this exercise does it all! Working the shoulders, chest, arms, lats and core muscles, this is one exercise that is tops on the bang for your buck list. I love using it for grappling sport athletes like MMA, jiu jitsu and wrestling. where so much strength and body control is needed in prone positions. But you don’t have to be ranked in the UFC to get the benefits of this amazing “Smart” exercise so give it a try! As always, of course we have a video description of the exercises for you to watch to make sure you get all the coaching cues right for maximum results. You can check out the easy-to-follow video demonstrations below of how it’s done properly or you can watch it directly on our Strong Athlete YouTube channel by CLICKING HERE.